Give thanks! 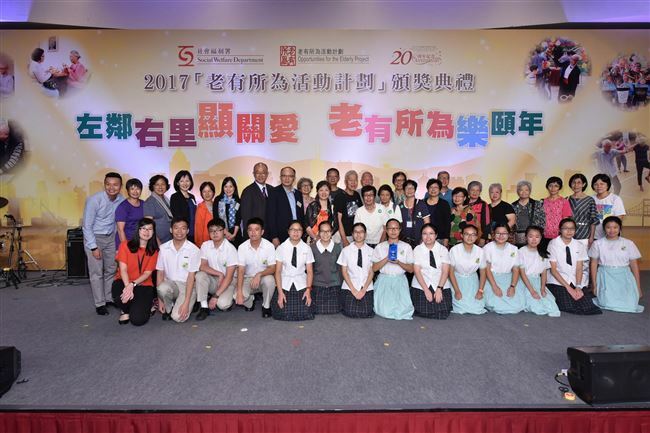 Our school has won the District Best “Opportunities for the Elderly Project” (OEP) Awards for the outstanding performance in implementing the one-year projects again in 2016-17. 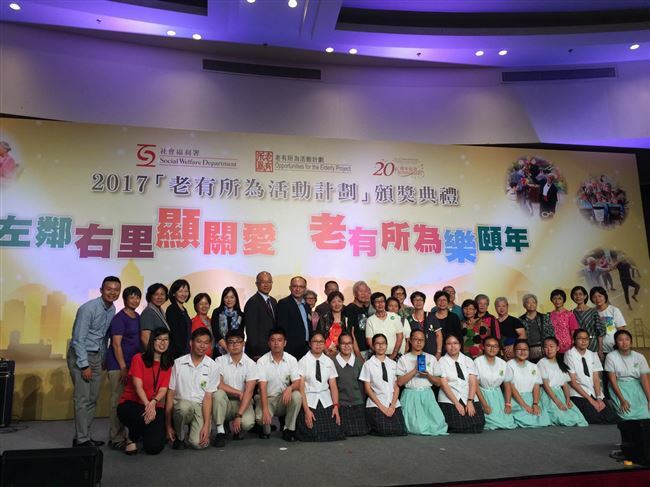 It is the second time for our school to receive these awards (Our school won the same awards in 2014-15.). 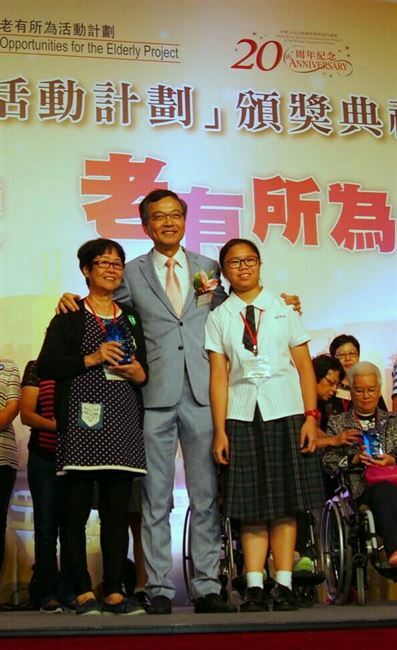 Principal Yip, our Caring Ambassadors for the Elders, as well as the Elders from our Elder Academy attended the Award Presentation Ceremony held in the Kowloon Bay International Trade & Exhibition Centre on 14 Sept. Vanessa Lo Yee Tung, the Chairperson of our Caring Ambassadors for the Elders and Ms Chan Chik Ying, the elderly representative, received the awards from Dr Lam Ching-Choi, the Chairperson of Elderly Commission Membership.